Two tasty recipes with turkey. To spend good time with family or friend, you can make this incredible turkey roll casserole. 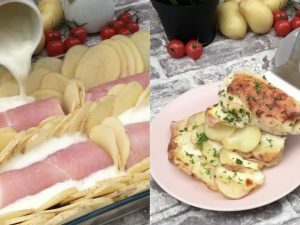 Ingredients: turkey, ham, cheese slices, three potatoes, 50 ml bechamel, parsley. Ingredients: 500g turkey, 200g spinach, 2 omelets ( 8 eggs), 200g cheese, 150g bacon. 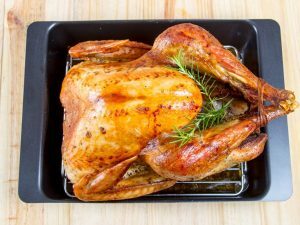 1) Slice open the turkey breast so that it becomes quite thin and larger. If you don’t know how to do this, ask the butcher to do it for you. 2) Fill with spinach, the 2 omelets, and the cheese. Roll it up. 3) You can keep it from opening up by using some kitchen twine, let it brown on all sides in a pan and then bake it with some garlic and rosemary. We decided to make it even tastier by wrapping it in bacon. 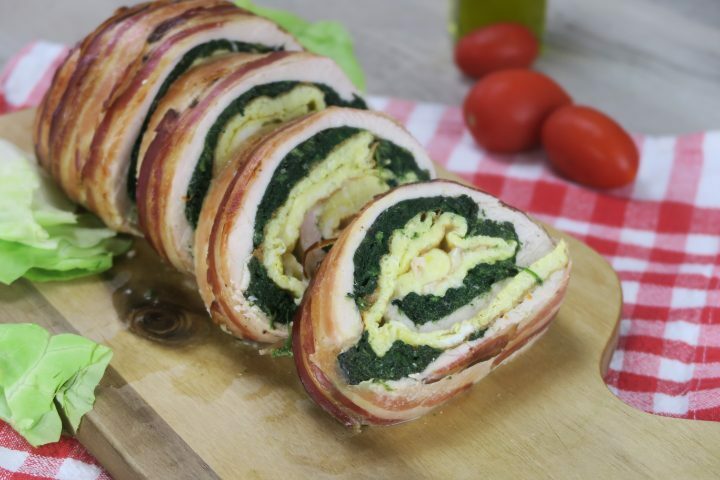 4) Roll the slices of bacon around the turkey roulade. 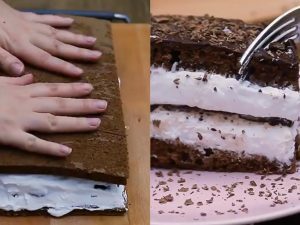 Bake at 180°C for 40 minutes: bake the roulade wrapped in parchment paper for the first 30 minutes. 5) Remove the parchment paper and let it cook for the remaining 10 minutes until the bacon becomes nice and crispy.